Why is it when the going gets good, supply chain initiatives slow down? My good friend, Lora Cecere, recently posted an article on her Supply Chain Shaman blog titled, Conquering the Effective Frontier. It was one of the subjects at her Supply Chain Insights Global Summit, and I couldn't be more excited to hear more! Lora's research finds that when the economy goes into a downturn, organizations will look at all kinds of ways to make their supply chains more efficient. But as the economy improves, these same organizations will take their foot off the gas and let the inefficiencies return. Indeed, her study shows most companies could only hold on to their gains for about two years. After that, the numbers fall off dramatically. The round-table discussion allowed companies like Colgate, Dow Chemical and General Mills to show what they did to extend those gains to three- and four-year improvements. This is very interesting! Lora and I have seen the same telltale signs over the last few years. Forward thinking companies are shifting their emphasis away from supply side, operational rigor based on rapid replenishment and moving forward with supply chain projects that focus on driving better inventory placement through demand sensing and demand shaping. The information coming out of her recent Supply Chain Insights Summit shows companies gaining more long-term benefits from this shift in emphasis so they don’t replicate the old methods rehashed from just-in-time inventory management techniques. It is incredibly hard to hold down inventories for the long term using speedy replenishment. You end up playing a constantly shifting game of "whack a mole" while you monitor what products will fall into a potential out of stock situation and then respond. The rule-of-thumb days of supply inventory metrics provide for only about 10 percent of the products in your system to be correctly stocked. The other 90 percent are either over or under stocked depending on the demand signals. This supply side focus makes for exhausting work. No wonder companies want to relax the effort when times get better! Long-term benefits in the supply chain require a shift in view from supply reactions to a holistic demand synchronization process. Forward thinking companies are going beyond simple demand sensing and moving into demand-supply shaping. They are taking inwardly focused information and combining it with outwardly focused data like IRI/Neilson or other industry data to get much more accurate forecast data. In turn, through such things as multi-echelon inventory optimization they are aligning that demand signal so that the supply chain is synchronized. The whole supply chain will react to customer demand as one network, not just bloated elephants linked in a parade. When you take speedy replenishment out of the efficiency equation the effort is reduced to create a better supply chain. My bet is Lora will find the companies who had the longest lasting benefits were the ones who created an "outwardly focused" organization. They are aligning their supply chains on the final customer's demand, not simply relying on inwardly focused, "speedy replenishment" grounded in old just-in-time practices. 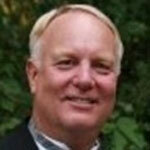 Bob Davis is a Principal Industry Consultant in the Supply Chain Management Solutions group at the SAS Institute. From 2000 to 2013 Davis was Principal Product Manager for SAS Inventory Optimization, Service Parts Optimization and Supply Chain Intelligence Center. Prior to joining SAS, Davis worked for over 20 years with Nestles and ConAgra in their Grocery Products Divisions. While at SAS Davis has helped SAS develop expertise in supply chain cost analysis in the fast moving consumer products industry, inventory optimization, service parts optimization and sales & operations planning. He is a recognized global expert in multi-echelon inventory and replenishment optimization. He has been featured as a speaker and writer on the topics of demand-driven supply chains and service chain processes. He has spoken at such conferences as the Council of Logistics Management, Logicon, BetterManagement Live and Frontline’s Supply Chain Week.